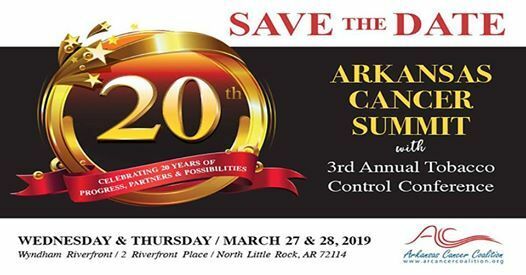 The Arkansas Cancer Summit is an annual event hosted by the Arkansas Cancer Coalition (ACC) to showcase the recent progress that Coalition partners have made towards meeting the goals and objectives of the state's comprehensive cancer plan. The forum provides an opportunity for us to celebrate, reflect, network, share information, and build new skills in order to strengthen the fight against cancer. 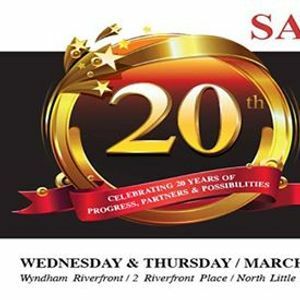 Our theme this year is: “Celebrating 20 Years of Progress, Partners and Possibilities”. For more details, please visit www.arcancersummit.org/.